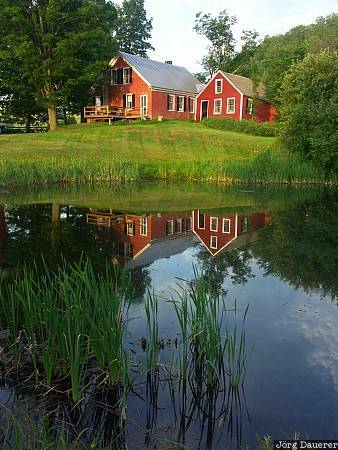 Jenne Farm south of Woodstock in southern Vermont and its perfect reflexion in a calm pond. Woodstock is in central Vermont in the eastern part of the United States. This photo was taken in the morning of a sunny day in July of 2005. This photo is part of the exhibition Reflexions (February 2015). This photo was taken with a digital camera.